In 2002, the administrators of the Bettman Archive, which is one of the largest collections of photographs ever assembled, announced that they were effectively burying the collection of 17 million images in a mine western Pennsylvania. Otto Bettman sneaked the first part of the collection out of Nazi Germany in 1935 and continued to add to it until his death. Bill Gates bought the entire collection in 1995. Gates also owns 10 million news photos from the archives that once belonged to Hearst, Scripps, The Daily News and the Chicago Tribune. He also owns another 30 million images that were shot by the French news agency, Sygma as well as owning the rights to license digital reproductions of works from the Hermitage in St. Petersburg, the Philadelphia Museum, The Barnes Collection and the National Gallery in London. In all, Bill Gates "owns" 65 million images. However, Bill Gates is not the reason that I have brought up this point. What interests me is the controversy that has accompanied Gates’s decision to place all of the images into an underground archive. 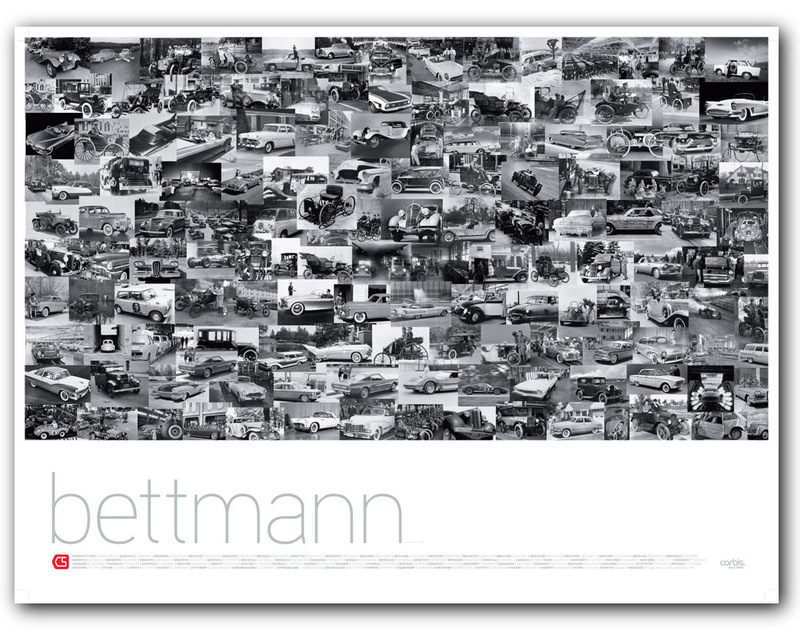 Only about two percent of the Bettman collection has been digitized and it is unlikely that very many of the remaining photographs will ever be seen. Consequently, many people, librarians and archivists are complaining that; "one of the most important legacies of the 20th century is going to be lost." It is interesting that photography was roundly condemned at the time of its invention. It was described as a medium that would destroy not only the realities it pictured, but painting, drawing and much of what was important in the art world. Now, we are as concerned about these photographs as we are about the condition of our famous paintings — there is general dismay that one person could own the images that seem to define the history of an entire period and dismay that a cultural heritage will be lost. Remember, this is a medium that was marginalized for decades after its invention and a medium that has only gained true recognition over the last forty years or so. In 1725, all of the chemical and optical necessities for the invention of photography existed and yet it took over a century for Henry Fox Talbot and Louis Daguerre to produce images on silver plates. It took another hundred years for cameras to be developed that were cheap enough and good enough to be sold in large quantities. It has taken us another seventy years to develop cheap and easy ways of creating digital images whose resolution will soon far exceed what analogue media have made possible. The reason that I am discussing this history is that it was artists of all persuasions and ideologies who were in the forefront of using images derived from mechanical means, but artists were also in the forefront of resisting these new forms of expression. Since the 1830’s these divisions between the mechanical, the technological and the natural have been punctuated by fierce debates as well as shifting allegiances. I will not reproduce what some of our most famous impressionist painters said about photography, although its popularity and presence profoundly influenced their art. Much of this debate is grounded in the superficial distinctions that continue to haunt the world of art between high art and low art, between popular forms of expression and art that receives legitimization through a system of museums, galleries, and critical analysis. Until recently, photography was on the low end of the scale and this is one of the reasons that Gates could buy the Bettman collection, for $35 million dollars, buy an entire legacy for such a paltry amount. I am taking the long route around to come to an important point. At a recent meeting of Presidents of Art Schools in Europe and North America, one of the agenda items was a discussion of a problem that is being felt pretty much across the board in the world of art, but also among educators. Everyone agreed that computers were revolutionizing the arts, while at the same time meeting a great deal of resistance among artists themselves. The divisions sound very familiar. They are a replication of the divisions that have existed in photography, film, television and so on. It was not until the 1930’s and some brave work at the Museum of Modern Art that the artistic heritage being forged through moving pictures was recognized and archived. Television still suffers from the widely held notion that there is no "art" in the creation of a TV show even though more and more artists have made use of video in nearly every aspect of their work. Video art has been accepted more readily, because of its closeness to experimental cinema, even though experimental cinema was always marginal and marginalized. It is quite an irony that many of the experimental techniques of the 1960’s have been taken up in music videos, but that would be the subject for another article. Some of the resistance to the digital revolution is the result of genuine fears about new technologies and their pervasive influence. However, some of this resistance is also about a lack of vision and a resistance to examining the role of cultural phenomena in the contexts in which they have evolved. In the 1930’s, Walter Benjamin talked about the impact of mechanical means of reproduction on culture and his crucial point was that the ability to reproduce images on a mass scale changes not only art, but also all forms of representation and expression. Benjamin’s insights were not taken too seriously until the late 1960’s and this is partially so because of the important influence of McLuhan but also because of two equally eminent Canadians, Northrup Frye and Harold Innis as well as the growing recognition of the importance of the mass media as they were then called on the daily lives of many people. Simple negation is not good enough here, artists have to take control of these new forms in order to reshape them. And many artists have taken up the challenge. But, the widespread belief that digital technologies are just a fad or a momentary event, just tools, is not going to help the struggle to intervene in their use and help in the development of their potential. For example, it seems clear that if present day software is to be manipulated, used, even challenged then artists are going to have understand the grammar of the software — and that means, for better or for worse having a better understanding of programming. For the arts to flourish in a world that is both material and dematerialized, where different levels of reality co-exist with each other, where a great deal can now be simulated before it is even experienced, artists need to take a close look at the mediums they are using in order to contribute to the development of those forms and to continue steering the content of the representations they use for their art. Contemporary artists have to break through and into the digital languages that are now so pervasive. We need more artists talking to engineers and computer scientists, geneticists and biologists. This can only enlarge and strengthen the role that artists play in puncturing the myths of everyday life and perhaps redefining our understanding of the digital revolution. The Lytro camera is unlike any camera I have used. Once you have taken the picture, the viewer can alter perspective and play with the focus and focal lengths. Here is an example. The static version is below. If you want to view the "living" version, click here. At the web site, run your cursor over the picture and click in any of the areas and you will notice a change in clarity. Right click to play with perspective. Lytro pictures are indicators of the change we are presently experiencing in our use and archiving of images. Not only do photos no longer exist as prints, but their transformation into files means not only that they can be altered, but that we can never touch them. Lytro pictures are in the earliest stage of development. Once you will be able to change the core elements of a photo (and this is quite different from working in Photoshop) from focus to perspective to actual position, it is hard to imagine anything being preserved for very long. The old adage that a photo captures a moment in time will prove to be anachronistic. The unique foreground and background effect.